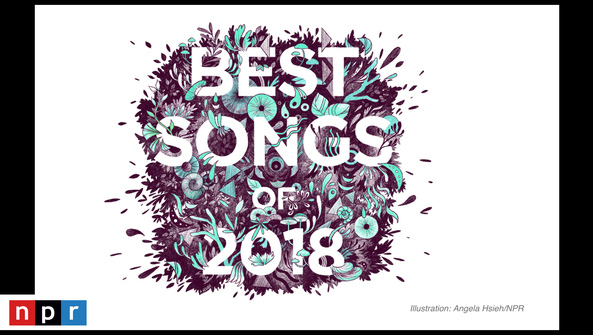 These are the 100 best songs of 2018, as selected by the staff of NPR Music and our partner stations. You can listen to the songs here, check out the 50 best albums of the year or hear All Songs Considered's podcast discussion of the year in music. 93. Anthony Roth Costanzo "Liquid Days"
79. Joseph Calleja "Ah! Si, ben mio"
58. Vikingur Olafsson "Widerstehe doch der Sunde"
34. Magos Herrera & Brooklyn Rider "Volver A Los 17"
Every relationship is about the commingling of two unique sensibilities into one harmonious experience. Dawn is a musical romance, bringing together the passion and rhythmic drive of Flamenco with the sultry sophistication and alluring wit of Jazz. As the title implies, Dawn, marks a bold beginning for the partnership between the Mexican-born Jazz vocalist Magos Herrera and the young Spanish Flamenco innovator Javier Limón.